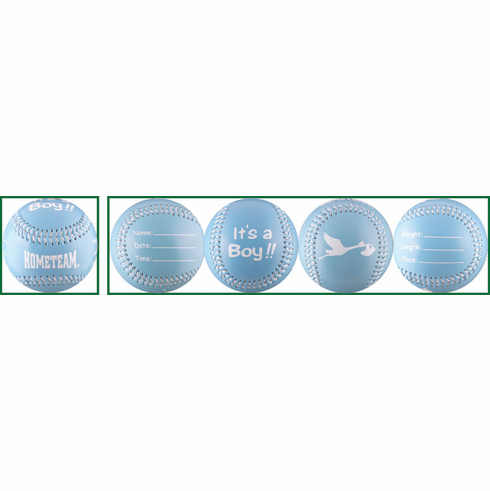 Celebrate the birth of a future all-star with one of these blue It's A Boy!! baseballs. Hometeam text on sweet spot and baby boy graphics all over the baseball. You can even use a Sharpee to personalize the ball!